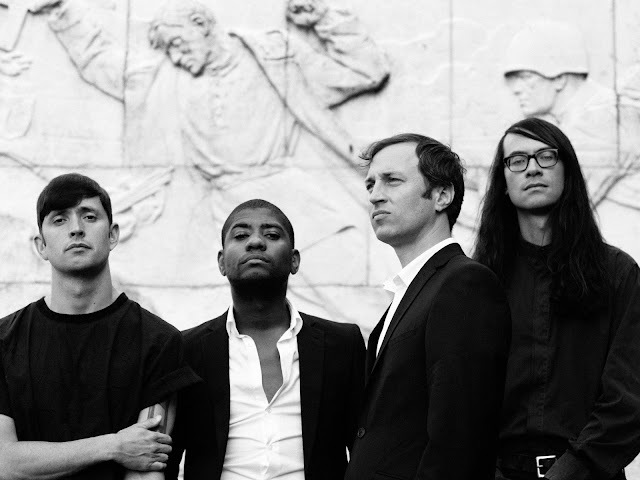 Algiers have today revealed another new track, this one titled "Cleveland", it's the second preview from their new album "The Underside Of Power" which is out June 23rd on Matador, and showcases why you should be excited for their forthcoming LP. Fontman Franklin James Fisher says this about the track: "A recurring theme in our music is the idea of injustice and the bitter understanding that obtaining justice in this world is all but impossible--particularly for minorities. I wanted the song to sound like the Final Judgement in the Bible, wherein the wicked are judged and condemned by the righteous with all the “weeping and gnashing of teeth,” of the damned when justice is finally realized. I like how this translates in the “solo” section of the song. It consists of various recordings of people inconsolably crying and weeping while the guitar and lead vocal mirror their contortions. If you’ve ever witnessed something like that in real life, sound of a person’s sorrow is equal parts frightening and musical." The band are currently on tour in Europe with Depeche Mode - head on down below and check out the track.